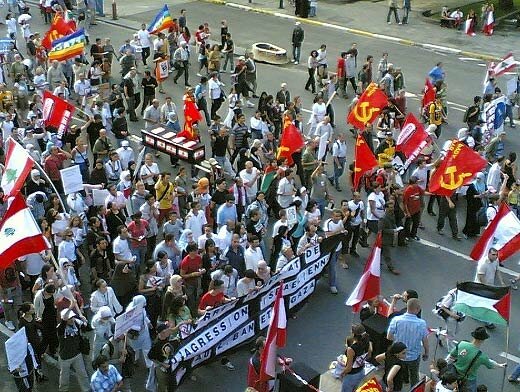 Some 8,000 people demonstrated in Brussels on Sunday against the war in Lebanon. There were slogans against the U.S. and Israel and in support of Hamas and Hezbollah. Participating organisations included the maoist Workers Party of Belgium (better known under its Dutch acronym PVDA), the StopUSA platform, Lebanese liberals, a jewish-muslim-christian pacifist organisation from France, and a christian trade union from Belgium. Lebanese flags were flanked by Cuban and Venezuelan flags, a further indication of the left-wing character of the demonstration.